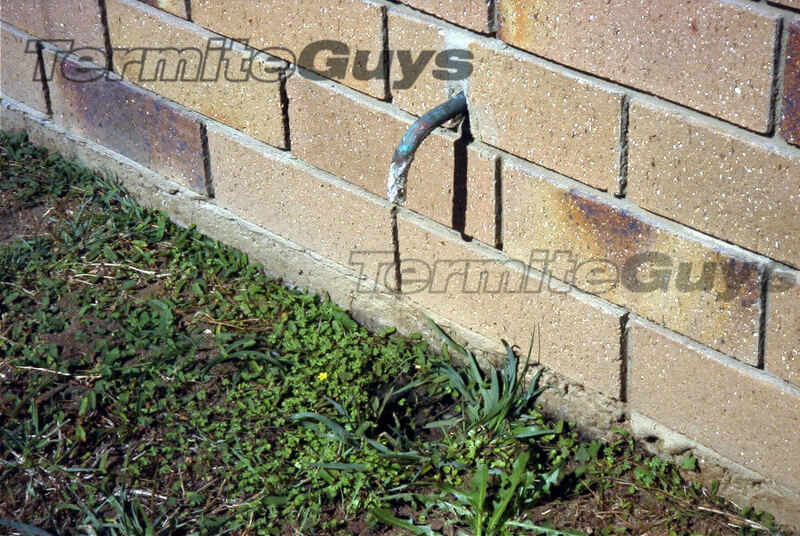 Superbly adapted to conditions in Australia, there is only one thing termites are truly dependent on, moisture. In Brisbane their supply can range from overwhelmingly abundant (la nina 2010-2012) to extreme scarcity (el nino 2009). As we move away from a wetter period. Local colonies will pay increasing attention to damp areas inside and outside your house. We aren’t certain how termites locate their food sources. At least some of their success can be attributed to blind luck and sheer weight of foraging numbers. One thing is for sure though, they are very good at locating viable moisture sources. They will make a beeline straight to it and commence foraging from that area. If the moisture source takes the form of the hot water overflow or a leaky tap right next to your wall the results can be dire. Common moisture sources we find around the wall exterior of many homes include; air conditioner and hot water system overflows, cracked or disconnected down pipes, leaky attachments on water tanks, leaking taps, washing machine grey water and several others. 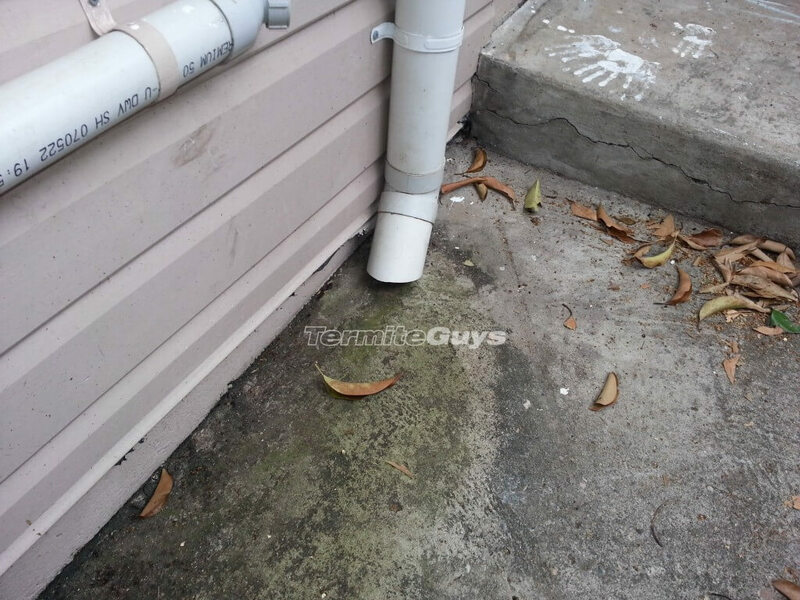 An overflow pipe from a hot water system causing moisture problems. If you cant get the water to a drain from your overflow, consider extending it with some hose to get it well away from the house and into the garden. The plants will thank you for the extra drip feed and the termites have less of a reason to search around your wall (There is no guarantee that they wont anyway). Drainage is just as important. 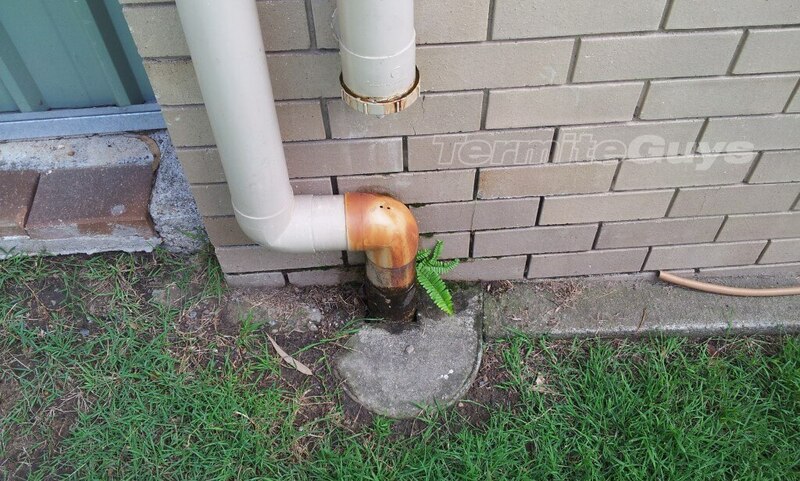 If water accumulates in places around the yard you can bet that the termites have been there and will be there again. A couple of bucks worth of ag-drain may save you much more in the future. One place that drainage and damp proofing are particularly important are in subterranean walls (walls that are set below ground level). It is crucial that sufficient damp course and preferably physical termite protection are installed BEFORE such walls are built. Rectifying moisture issues (and termite issues) in existing subterranean walls can be difficult if not impossible. There are occasions where it is easier and more effective to tear down such walls and rebuild them correctly from scratch. Aside from attracting termites, drainage/water ingress issues in these situations can also rot the framing and cause mould issues. Sometimes the little things can make a big difference. Certainly it wont do any harm to rid yourself of the boggy patch in the yard or to fix the leaking tap outside. Fixing the wall downstairs will be more expensive in the short term but much cheaper than a termite problem later on. Thermal imaging can also help us identify leaks for you. 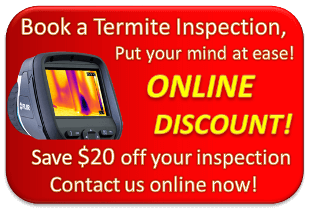 Contact us for an inspection today!